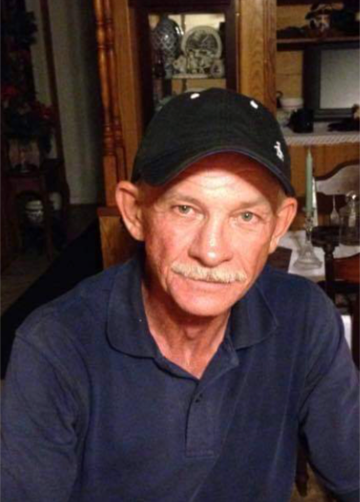 Victor Merritt Hallman, 60, of Lake Village, AR passed away Saturday, November 3, 2018. He was born in Lake Village, AR on November 12, 1957 to the late Victor Delano and June Ruth Whittington Hallman. 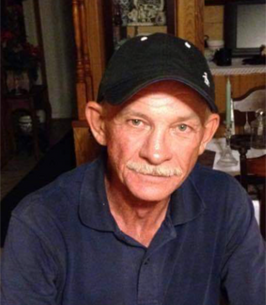 Vic was a welder by trade, an avid Razorback fan and he loved to fish. His greatest joy was being a proud father of two sons. Survivors include sons, Nicholas Hallman of Charlotte, AR and Dexter Hallman of Lake Village, AR; brother Freddie Hallman and his wife Jodie of Alexandria, LA; sisters Jewel Parham of Greenwood, MS and Deborah Mazzanti and her husband Joe of Lake Village, AR; grandson Kelen Hallman. Visitation will be 10-11 A.M. Saturday, November 10, 2018 at Griffin-Culpepper Funeral Service of Lake Village, AR. Funeral services will follow at the funeral home chapel with burial at Bayou Mason Cemetery. To send flowers to the family of Victor Merritt Hallman, please visit our Heartfelt Sympathies Store. Thank you for the condolences for my family and my Father. THIS IS SO HARD TO BELIEVE. I LOVED VIC, HE WAS A VERY SPECIAL PERSON IN MY LIFE. WE LAUGHED AND CRIED TOGETHER SO MANY TIMES. VIC WAS A MOMMA'S BOY AS HIS HEART WAS BROKEN WHEN HE LOST HER, NOW THEY ARE TOGETHER, HEALTHY AND HAPPY. MY HEART ACHES FOR THE ENTIRE FAMILY, YOU WERE ALL, HIS LIFE. PRAYERS FOR YOU AND MAY GOD WRAP HIS LOVING ARMS AROUND YOU ALL.